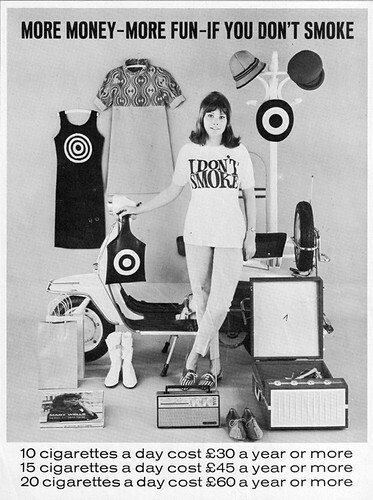 One of a set of ten government anti-smoking posters from the 1960s. This example focuses on what smokers could afford to buy if they gave up cigarettes. Isn’t this a great campaign? I wish I could find the other posters from this campaign! Cool vintage anti-smoking poster found by We Heart Vintage. If your site is a WordPress site, just select the option to use a bespoke template for your mobile device.